He performs throughout the world each season with major orchestras under conductors including Esa-Pekka Salonen, Peter Eötvös, Sir Simon Rattle and Vladimir Jurowski. He has been invited to curate, direct and perform in a number of residencies, with projects at Carnegie Hall, New York’s Lincoln Center, Vienna’s Konzerthaus, Frankfurt’s Alte Oper, the Lucerne Festival, Mozarteum Salzburg, Cité de la Musique in Paris, and London’s Southbank Centre. 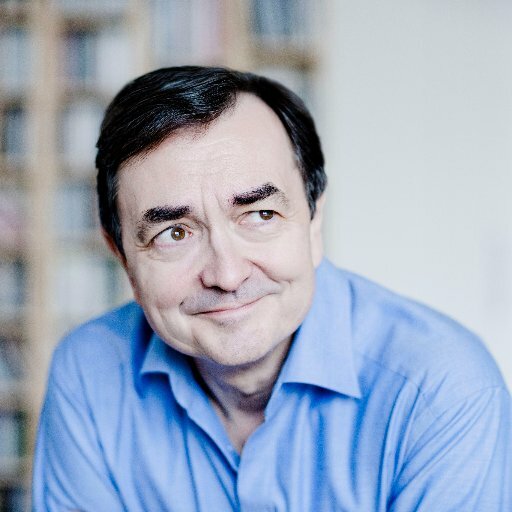 Aimard was the Artistic Director of the Aldeburgh Festival from 2009 to 2016, his final season was marked by a performance of Messiaen’s Catalogue d’oiseaux with the concerts programmed from dawn to midnight. Pierre-Laurent has made many highly successful recordings. In 2017, he signed an exclusive contract with Pentatone records. His first recording of the complete Catalogue d’oiseaux, released in Spring 2018, has been highly praised by critics and audiences worldwide and honoured with multiple awards including the prestigious German music critic’s award ​“Preis der deutsche Schallplattenkritik”. His recent Elliott Carter recording was honoured with the BBC Music Magazine Jury Award in 2018. In recent years Pierre-Laurent received a Grammy award in 2005 for his recording of Ives’ Concord Sonata and Songs and he was also presented with Germany’s Schallplattenkritik Honorary Prize in 2009. His recent recording of Murail and Benjamin with the Bayerischer Rundfunk won the 2017 Gramophone award in the Contemporary category.